An opportunity to deliver a solar farm that will generate renewable energy to support airport operations. The Master Plan anticipates huge economic benefits from these developments, both for the airport and the wider Liverpool City Region economy. Specialist transport consultants York Aviation (York) estimated that the airport contributed £250 million Gross Value Added (GVA) each year, and supported 6,000 jobs across the Liverpool City Region in 2016. The airport is a major employer in its own right, with 1,800 jobs currently supported on site, generating around £85 million direct GVA every year. York said the anticipated increase in passenger throughput and associated expansion of the terminal buildings and other passenger-related aviation investment will inevitably increase these numbers further. They represent the potential to drive the airport’s total annual GVA impact up to £625 million per annum, and enable it to support 12,280 jobs across the Liverpool City Region by 2030. 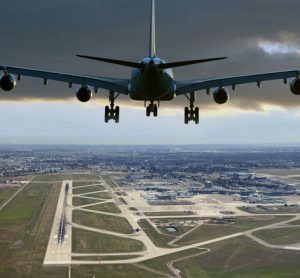 The prospect of establishing regular daily routes between Liverpool and Heathrow, as part of the London airport’s own proposals for a third runway, would offer an attractive hub operation to feed into the bigger international market. However, Mark acknowledges that Liverpool still needs to address the long-haul market, which has proved so elusive in the past. 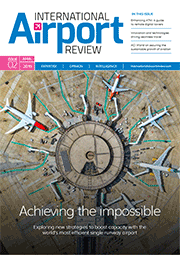 “There is a big long-haul market that we should be servicing,” said Mark. However, for the time being at least, the short-haul market remains the focus for Liverpool. easyJet, the biggest operator by passenger numbers at Liverpool, bases seven aircraft there and have just announced the addition of an eighth aircraft for next summer. In addition, market leader Ryanair operates five aircraft from the site, and Blue Air have just completed their first summer with a base at Liverpool. Mark also insists that by plugging these gaps they can kill two birds with one stone; i.e. addressing the business sector, as well as leisure travellers going to and coming from Europe and supporting the strong visitor economy of Liverpool. With increased passenger throughput the airport is also aware that it must retain the current high levels of customer satisfaction that it has worked so hard to achieve. Good customer service fosters the kind of passenger loyalty that is essential to keep the numbers steadily ticking up, and Liverpool is one of many airports that participates in the Airport Service Quality (ASQ) quarterly survey. 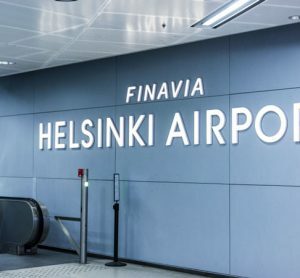 Figures show that in its peer group of 18 airports, during the first quarter of 2017 it was ranked the top when it came to waiting times at check-in, waiting times at security inspection and speed of baggage delivery; and third for overall customer satisfaction, compared with tenth place two years ago. This acknowledgement by LJLA underpins their drive for customer satisfaction, which is constantly at the forefront of its business offer and illustrated on the reverse of Mark’s business card, which bears the motto ‘Faster. Easier. Friendlier’. 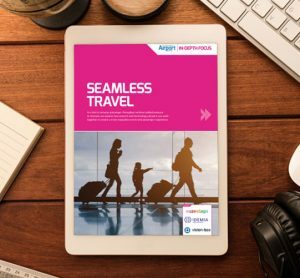 By making the passenger experience faster, easier, friendlier, the airport believes it will win the hearts and minds of its customer base. This means working closely with all business partners and suppliers. A further £2 million of improvement work in the retail area is due to take place over the coming winter. 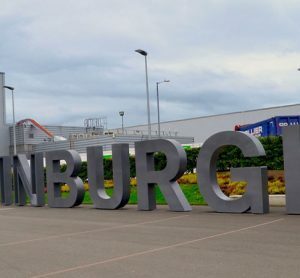 The airport has upped its game over the past two years by integrating with its surrounding community, which in turn is helping to improve life for its neighbours, and future generations. This includes a range of programmes, such as apprenticeships as well as work placements. Liverpool is the only airport to offer training opportunities to young school leavers on its fire fighter team. It does this by working closely with a local housing association which, it says, has a valuable understanding of the area and its community. There are also plans to establish a dedicated aviation training facility with the intention of offering opportunities for roles such as security staff, cabin crew, air traffic controllers, or ground handling staff. Liverpool has also developed charitable links with Alder Hey, one of the biggest children’s hospitals in Europe, with a £100,000 fund-raising target this year to support services at the hospital. There is even a Friends of Liverpool Airport group, run entirely by volunteers, who work with management to spread the word and run the airport’s tour programme. 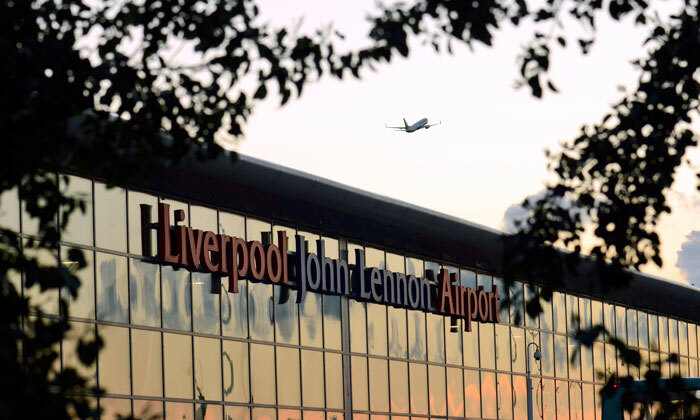 This entails engaging with local schools, colleges and business groups through regular visits to increase awareness of what Liverpool John Lennon Airport does, and the career opportunities it offers. It’s just another aspect of encouraging customers to feel the love for Liverpool John Lennon Airport. MARK POVALL studied air transport engineering at City, University of London between 1991 and 1994, and then air transport management at Cranfield University for one year. He was appointed Group Commercial Manager at Liverpool John Lennon Airport (LJLA) in 1999 before becoming Airline Business Development Manager with The Brussels Airport Company in 2006. 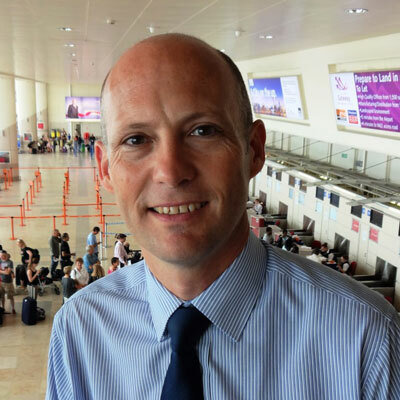 In 2008 Mark joined Abu Dhabi Airports Company as Route Development Manager, and then worked as Head of Airline Marketing, before re-joining LJLA in 2013 as Director of the Air Service Development.